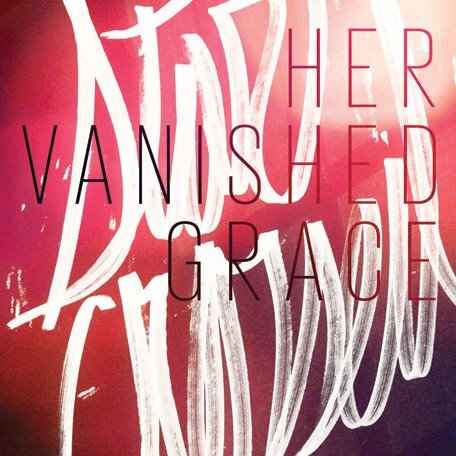 Your resource for all things shoegaze and dream pop: Interview: Her Vanished Grace. By Elizabeth Klisiewicz of Big Takeover Magazine. Interview: Her Vanished Grace. By Elizabeth Klisiewicz of Big Takeover Magazine. 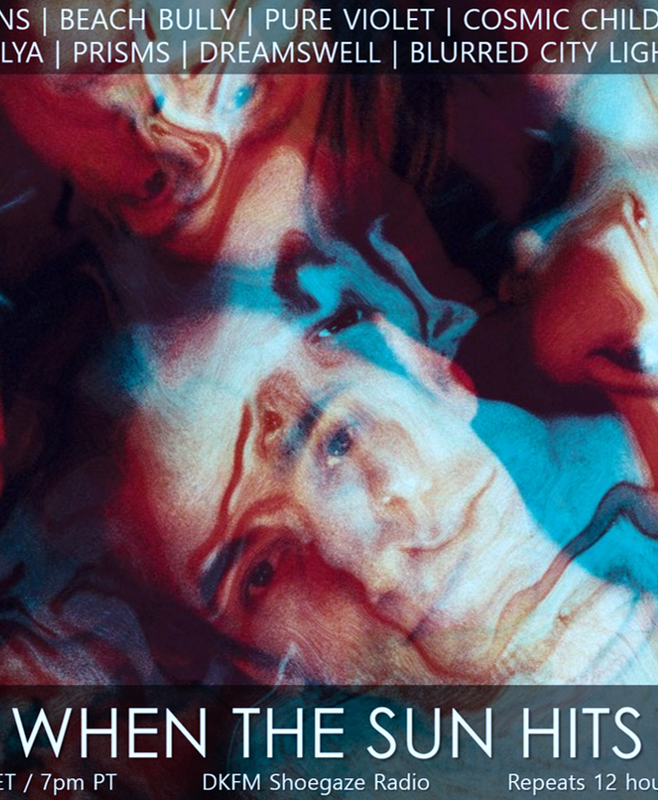 I first discovered NYC’s Her Vanished Grace through the shoegaze blog, When the Sun Hits. I owe a debt to my friend Amber Crain and the late Danny Lackey, who passed away recently from cancer. They have both done so much to support and expose new artists, and they deserve a vote of thanks from those of us who love dream pop and shoegaze. So how to describe HVG? It is the life work of long married couple, Charlie and Nancy Nieland, and there are many influences that are gracefully meshed into their sometimes delicate but muscular music. Nancy’s ethereal voice can veer from Liz Fraser to Siouxie Sioux, and she makes it seem so easy. Whereas Charlie’s equally fine voice sometimes edges into honey-throated Rob Dickinson territory. 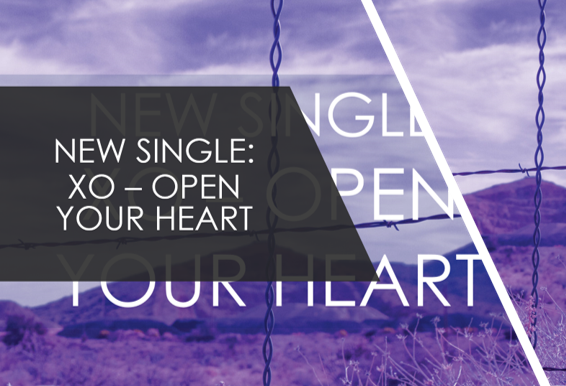 Witness this on the title track of their latest album, “Star-Crossed." And if it’s the Cocteaus you want, dive right into “Turn It Over”. The band also recorded a cover of “Across the Universe” that is worlds different from the original (and that’s a good thing). Visit their Bandcamp page and dive deep into their catalog. Is there any way of dividing your work into different periods, or do you see it as a logical progression to what you are today? CHARLIE: Well both really. 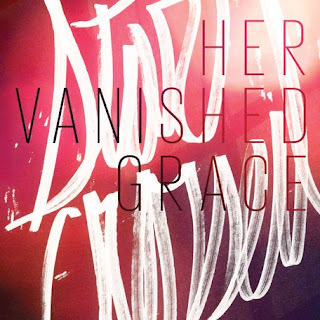 Her Vanished Grace has been making music for 25 years and you can definitely trace alternating periods of expansion and focus with a progression towards refinement. There is a common thread. HVG has a weird intensity that makes it not regular pop, but also has a melodicism that is inviting. We kind of glower at you and serenade you at the same time. Our first two records were our duo albums, and we went from a great mix of psychedelic late 80s sounds on State of Grace (1991) to the dark urgency of hip hop beats and shoegaze textures on Festival (1992). We started playing with a band in ’93 and Waiting (1994) shows how aggressive and heavy we went with it. On Soon (1996) we hit our stride, successfully blending the indie rock band sound and our dream pop side with sharper writing. Colors Vols. 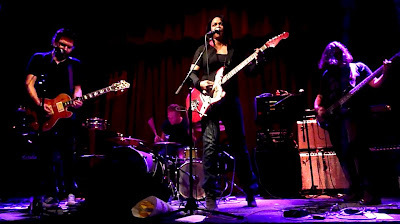 1 & 2 (2000) was a document of a time when we were in full celebration of our new band chemistry with Maria Theodosiadou and Brian Haarer, and we were trying to capture all of our different directions at once. It was the last few years of the 90s, and albums we loved like like Blur’s 13 gave us a kind of permission to be wildly eclectic. After a brief hiatus, where we scored the Glen Close film “The Safety Of Objects”, we came back with our new drummer, Billy Loose, and made Paradise (2004), which flirted with chamber pop and punk and more. This era marked the beginning of the resurgence of the Post Punk and Shoegaze that we’d always loved, and it felt great returning to those influences. We proceeded to create a focused series of power dream pop albums; Get Up (2005), Satellites (2006), Twilight (2007), Blue (2009), See the Moon (2011), and Star-Crossed (2012). Each time we swing back and forth a bit between indulgence and convergence, getting more purposeful with each record. In listening to Colors Vol. 1 and 2, it’s like I’m listening to a different band compared to Star-Crossed. I hear some punk, psych, and prog influences, and I even hear elements of Siouxsie in the vocals. In looking back to your earliest releases, can you point to some of your favorite tracks? CHARLIE: HVG’s body of work extends back pretty far, and our latest album always serves as the tip of the sword. We’ve committed to each release with everything we have, and each reveals different facets. But it’s always Her Vanished Grace. My favorites include State of Grace’s opener “7th Sign”, with its eastern intrigue, searing guitar and dancey, dreamy roar. There’s “Magic in The River” from Festival, with its witchy darkness and the power gaze of “Waiting” and the tribal drive of “Silver and Gold” (with its Siouxsie influence) from Soon. There’s the ethereal “Sooner Or Later” from Colors and the soaring “Early Bird” from Get Up, and the dark glow of “Alone” from Twilight. I really love lots of them, it’s hard to pick. Of course we think that last three albums have the strongest material: “Disappear” from Blue, “Passenger” from See the Moon, and “Fade Away” from Star-Crossed are great representations of present day Her Vanished Grace. Can you tell us about your involvement with Hush Delirium? How did you get involved, and are there plans to tour together or stage events in different cities? Did you know any of the other artists before this collective came together? Your song, “Clouds 7 (Deep Time)” seems unlike your other work. CHARLIE: The artist Simon Welford from Hush Delirium put the word out that he was looking for tracks for the project, the aim of which was to produce a gallery exhibition of artwork inspired by music. Knowing that Mark Gardener (Ride), Aziz Ibrahim (Stone Roses), Dean Garcia (Curve), and Adam Franklin (Swervedriver) were all going to be involved got me excited. I knew that our friends A*Star, Jaq Gallier, and Chatham Rise were all contributing tracks and thought that Her Vanished Grace could add something different. I don’t know if there are any plans for a Hush Delirium tour, but if they come to the East Coast and they ask me, I’d love to do an improv duet with Simon’s painting. You folks have had a long career, and I only just heard of you this year because of When The Sun Hits. How hard has it been to get the word out about your music? Has the Internet helped? CHARLIE: We’ve always been a little outside of the various genres of the music industry, and it’s put us on our own path from the beginning. We went the route of management, publicists, and promoters for a while in the mid 90s, but we’ve been much happier since we went DIY in 1997. When we started trying to find our way into the hearts of music bloggers and DJs, it seemed a little daunting at first, but during the promotion of our last couple albums we found that Shoegaze and Dream Pop fans on the social networks were starting to notice us. Blogs like Obscure Sound, Drowned In Sound, and When The Sun Hits also took notice and started writing about Her Vanished Grace. We constantly get “why have I never heard of you” and “you guys should be so much bigger” so the Internet seems to be helping us find people who are ready to love our music but just haven’t heard it. What’s it like to work with XD Records vs. a DIY approach? CHARLIE: Well,l it was a great opportunity to meet and join forces with a lot of great artists like SPC ECO, Morpheme, Bloody Knives, Panda Riot, Lightfoils, Music For Headphones, and The Microdance. We met most of them at the XD showcase in Chicago in late 2011. Unfortunately, the label folded in January of 2012 and we never got to release anything with XD. So we happily continue with the DIY approach. We’re still great supporters of, and enjoy our friendships with all the former XD bands. How long has the current lineup played together? CHARLIE: We’ve been playing with Maria since 1997 and Billy joined in 2003 so this particular group has been playing together for 10 years now. We love them. How do you approach songwriting? Is it just you and Nancy, or do the others contribute as well? CHARLIE: Some songs are created out of improvised moments caught in rehearsals. While I’m still plugging in all my pedals, Nancy, Maria and Billy will start playing something and by the time I’m set up, I get to join in and it sounds like a song already. We take these ideas and carefully, without crowding out the great band chemistry, write verses or bridges or whatever is needed. The songs “See The Moon” or “Star-Crossed” are good examples of that. Other times Nancy and I write songs and bring them to our mates to add their parts to. That way works great too because we know Maria and Billy so well, they end up adding just what we thought they would in songs like “Passenger” or “Car Crash”. You’ve scored a film (The Safety of Objects). Do you think that could happen again? CHARLIE: It was a great experience. The director Rose Troche heard some stuff that we’d done and asked us to work on the score. We ended up working on all the music in the movie, source cues, score, and even songs sung by characters. We learned so much about how to work with a big group of people; the music and film editors, the music supervisor, the producer and the director. We just got thrown into the deep end of the pool, and we learned how to deal with musical ideas expressed in visual language. I had to learn about stuff like video frame rates. Several Her Vanished Grace songs were used in another film called Under Hellgate Bridge and I also worked on the score for the VH1 Rock Doc NY77, The Coolest Year In Hell. We’d love to do more film stuff. I think our music is very cinematic. You have to find a film maker at just the right moment for it to happen. Or they have to find you. You brought in some guest musicians for the recording of Star-Crossed. How did that work out, and are you likely to continue that practice? CHARLIE: We’d been contributing to our friends’ projects here and there for years so it felt like the right time to bring in some of their influence on the layers of Star-Crossed. Daniel (The Invisible Kid) Cousins and Andee Blacksugar from Black Sugar Transmission sent their parts to me and I worked them into songs like “Earth Stood Still”, “Hungry” and “Across The Universe”. LG from Dead Leaf Echo came over and conjured up parts on the spot for “Midnight Sun” and “Earth Stood Still”. It was great to have their input and I’m sure we’ll do it again in the future. I am not sure if Catherine Wheel has informed your music education, but Charlie, you sound a bit like Rob Dickinson, especially on “Star-Crossed”. Has anyone ever mentioned this similarity to you, because I think the resemblance is there. It would be so cool if you could work with him in some fashion. CHARLIE: I’ve always loved Catherine Wheel and it would be awesome to work with Rob. It’s interesting, I’ve heard a number of different opinions as to who I sound like on “Star-Crossed” now. My friend John from The Stargazer Lilies said I sound like Peter Gabriel. Sometimes I think I’m channeling singers I love like Ian McCullough from Echo & The Bunnymen, or Richard Butler from The Psychedelic Furs, but on “Star-Crossed” I was feeling pretty vulnerable and I was actually just being me. Where are you biggest pockets of fans? Have you made it over to Europe, and if so, how was the reception over there? CHARLIE: It’s so spread out. There are HVG fans in the UK, in Italy, Sweden, India, China, Indonesia. We have a bunch of fans in Brazil and Argentina. Lots more places. Of course, here in NYC, Chicago, Texas. California, and Boston. We’d love to play in Europe, but without some tour support it would be very difficult for us to do. The Cocteau Twins seem like an obvious influence, especially on your later work, but what other music, art, and even literature has excited you? CHARLIE: The Cocteau Twins was some of the first music that Nancy and realized that we had in common. We had a mutual love of Siouxsie and The Banshees, Love and Rockets, The Cure, David Bowie, Echo & The Bunnymen, and XTC and then Jane’s Addiction, My Bloody Valentine, Lush, PJ Harvey, Shudder To Think, Chavez, Flaming Lips, Blur, Radiohead, Interpol, and Arcade Fire; they’ve all inspired us in different ways. We’re total fans. We met working at the Metropolitan Museum of Art and we’ve always surrounded ourselves with the art we love by Balthus, Klimt, De Chirico, and lots more. Our words are inspired by everyone from Shakespeare to Emily Bronte to Tom Robbins, and Richard Russo, whose chapter titles from the novel “Bridge Of Sighs” make up the lyrics to our song of the same name. I also read a lot of Jung and Joseph Campbell. The beauty of nature is very influential, especially on Nancy, who is a gardener at the Brooklyn Botanic Garden. What equipment do you prefer to use to achieve your sound? CHARLIE: Our main instruments are Nancy’s ’66 Fender Jazzmaster, my ’74 Hagstrom Swede, Maria’s 90s Jazz Bass, and Billy’s Frankenstein monster of a drum kit; they make up the basis for almost all of our recordings. We also used a lot of Danelectro Baritone guitar and our Alvarez acoustics on Star-Crossed. For effects, I love me some old Digitech effects: the Digitech RP-10 (multi fx with a programmable expression pedal), the Digitech WH-1 Whammy, the Digitech XP-300 Space Station, the Digitech PD 8000 Echo Plus; they’re all in my rig. I also use and the Roland GR-33 Guitar Synth and the MXR Micro Amp. Nance uses the Digitech RP-70 for her effects, and we both use Marshall 900 series amps. I like bringing in new toys for each record; recent albums included the Zvex Fuzz Factory and the Electro Harmonix pedals Memory Man and Cathedral Verb. The next recordings will feature my recently acquired Line 6 Verbzilla and Echo Park pedals. Have the huge changes to the music industry benefited your band? What about social media, is that really effective in getting the word out? CHARLIE: I think the changes have benefited us. Certainly the technological innovations in recording have. I engineered our first two duo records with sequencers and an 8 track, followed by a couple of very expensive records made in big studios with Steve Peck mixing. Then, starting 15 years ago with Colors, I began using Logic to record us and that has really opened things up creatively and practically. I use my studio where I produce artists like Debbie Harry to track HVG projects and then I slowly mix it all up at home. This process has resulted in a very creative period, with 7 original Her Vanished Grace albums since 2004 and more on the way. Social media first helped HVG find allies in the MySpace days. Meeting Autumn Thieves and The Loveless Music Group led to our friendships with Dead Leaf Echo, Soundpool, and lots of other bands. We slowly got into Facebook and Twitter, and then something happened last year and a lot of new people discovered us via various Facebook groups like I Am The Programmer and The Shoegaze Collective. We’re so grateful to the fans and fellow artists who have spread the word about HVG. It’s still really up to us to stir up interest though; we send out hundreds of emails to blogs and lots of CDs to radio stations inviting them to check out Her Vanished Grace. It’s great that we have our music at CD Baby, ITunes, Amazon, and Bandcamp ready for anyone who discovers us on the interwebs. Video seems like a big part of the band’s legacy. Do you do it all yourself? CHARLIE: Our first video was for the song “Trouble” from Soon in 1996, directed by Marc Klasfeld, who went on to work with Nelly and Katie Perry. We only recently got back into doing videos. We discovered B.A Miale and she did the amazing music videos for “Passenger” in 2011, and for “Car Crash” in 2012. Meanwhile, we started making our own videos in late 2011: “Make It Lighter’” then “Across The Universe”, “Bridge Of Sighs”, “Dawning” and most recently “Fade Away”. You can see that we’re evolving. In fact, I’ve had several requests to direct other artists’ music videos, which I’m really excited about. I think we’re discovering that video is a new art form for us. You can see them all here. What’s happening with HVG now? Are you working on any new music, or any future dates around the US? CHARLIE: We’re finishing up a musical collaboration with Danny Lackey, a great guitarist and co-founder of the “When The Sun Hits” shoegaze blog, who just passed away after a long battle with cancer. His project is called Deepfieldview, and it includes contributions from Anna Bouchard from Drowner, Eric Matthews from Cardinal, Joey Levenson from SPC ECO, and Nancy and I. It’s an honor to have known such a loving and talented man. I’m producing and mixing it, and when it’s done it will be on sale at Bandcamp, etc. All sales will help Danny’s wife Barbie in her recovery and help her deal with the financial hardships of his long battle with this disease. Here’s a link to a preview of the album. Her Vanished Grace has also been working on an ethereal acoustic EP called Ice Age, which will be released later this year. 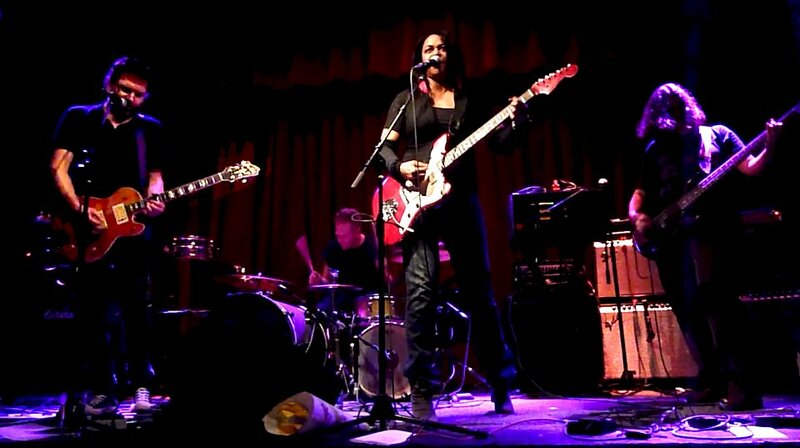 We’re really looking forward to our show in Brooklyn at The Rock Shop on February 16th with The Stargazer Lilies and SUA, and Philly Peroxide coming in from Chicago to DJ. We will also be playing with Oh Halo on March 22nd at Left Field NYC.